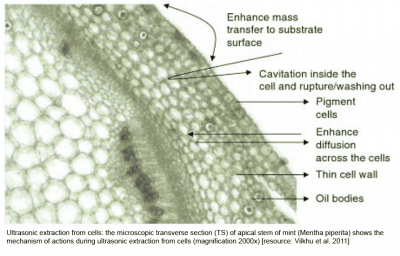 Extraction of bioactive compounds such as THC and CBD from cannabis can be performed with different techniques. Ultrasonic extraction equipment has many benefits which makes it the superior extraction method. Due to its high yields, high quality extracts, rapid process, low investment and operational costs, safe and user-friendly operation, ultrasonic extraction is the preferred method for extraction processes in small and industrial production. 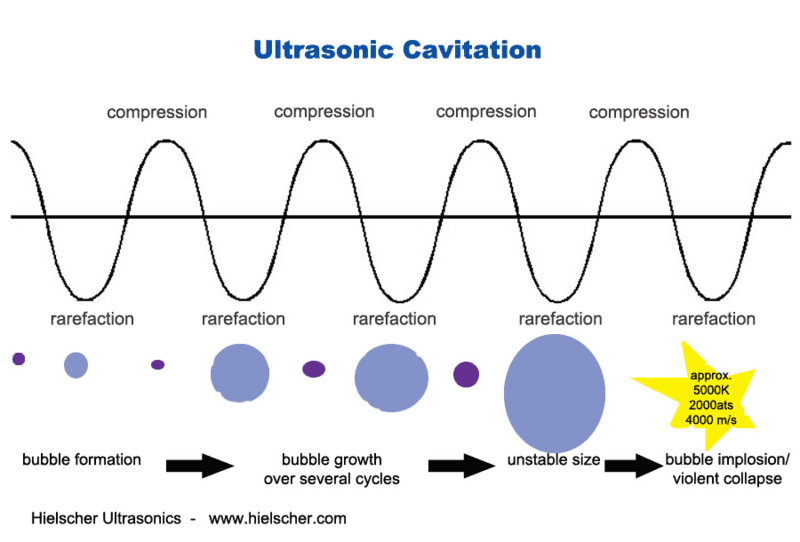 Extraction by ultrasound is based on the principle of acoustic cavitation. The application of high-power ultrasound to liquids and slurries results in intense cavitation and shear forces. In a slurry of leaves, buds, flowers, stems and other plant parts, the vegetable cell are disrupted by ultrasonic shear forces and the bioactive compounds such as cannabidiol (CBD) and tetrahydrocannabinol (THC) are released. 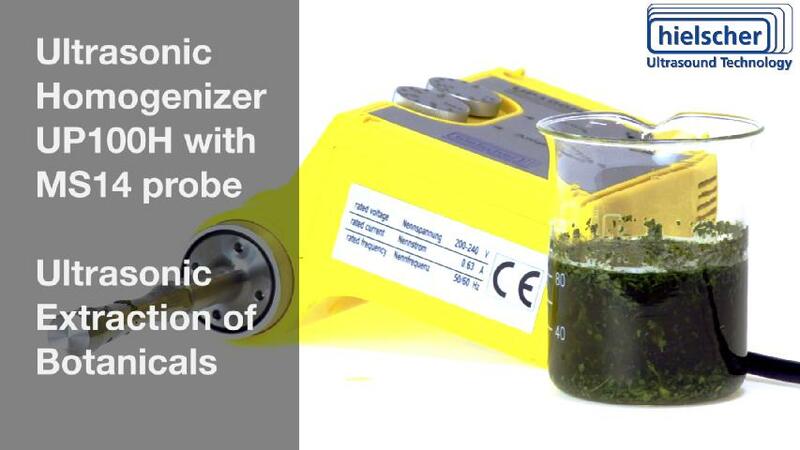 Ultrasonic extraction is well established as highly efficient and reliable technique to isolate bioactive plant compounds. Especially in the production of high-quality cannabis oils sonication has convinced due to its high yields (higher extract output), excellent quality (full spectrum) and rapid processing time. The application of ultrasound waves is a mechanical treatment, which is non-toxic, safe, and environmentally-friendly. Why is Ultrasonic Extraction the Best Method? Hielscher Ultrasonic is your trusted partner when it comes to high performance ultrasonic extraction equipment for the extraction of cannabis and other botanicals. With countless installations worldwide, Hielscher’s ultrasonic extractors are well recognized for their high extraction rate, reliability and robustness. From smaller compact bench-top ultrasonicators such as the UP400St (400W) to the worldwide most powerful UIP16000 (16kW, see pic. 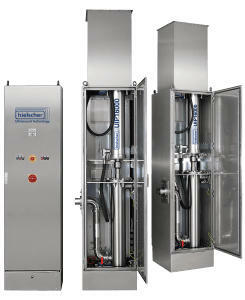 left), Hielscher cover the full range of extraction equipment. This allows us to recommend you the ultrasonic extractor most suitable for your process requirements. Product: Ultrasonic extraction produces a high-quality full spectrum extract. The crude extract is refined by filtration, distillation and/or winterization. Solvent: all kind of solvents can be used such as water, water-alcohol mixture, isopropyl alcohol, hexane, ethanol, methanol, butane, vegetable oils (olive oil coconut oil), glycerine, etc. Product: typically a crude extract that requires further refinement such as winterization or filtration. Commonly the ethanol extract is further refined through distillation after winterization and filtration. Equipment cost: between $5,000 and millions depending on size, capabilities or automation abilities. Technical skills: educated in basic chemistry/moderate. When high performance ultrasound is applied to liquid systems (including slurries and viscous pastes) acoustic cavitation is generated. Acoustic cavitation describes the phenomenon of the generation, growth and eventual implosion of the cavitation bubbles. 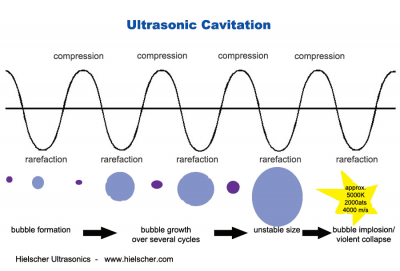 During the propagation of the ultrasound waves, the vacuum bubbles oscillate, grow and collapse at the point, when the bubble cannot absorb more energy. The bubble implosion creates locally extreme conditions of very high temperatures, pressures, heating and cooling rates as well as pressure differentials and liquid jets. The extreme conditions result in thermal, mechanical, and chemical effects. The cell disruption and release of bioactive compounds (= extraction) is a mechanical effect, which is very effective and efficient. 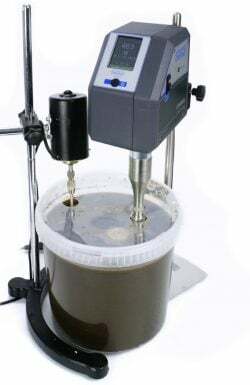 Due to its superior extract output, its high extraction rate, process speed as well as simple and safe operation, ultrasonic extraction is used successfully for the extraction manifold botanical compounds. Prominent examples of ultrasonic extraction are cannabis (cannabinoids and cannabis oil from marijuana and hemp), curcumin, pepper, saffron, coffee, bitter gourd, olive oil, avocado oil, henna, Ayurvedic herbs, ginger, tea, and other medicinal herbs. Decarboxylation is an important step for efficient production of the major bioactive compounds in cannabis, such as Δ9-tetrahydrocannabinol (Δ9-THC), cannabidiol (CBD), and cannabigerol (CBG). Decarboxylation, also known as “activating” or “decarbing”, is applied as a pre-treatment to increase THC (delta9-tetrahydrocannabinol) content in the plant material. Chemically decarboxylation is a reaction where a carboxyl group (-COOH) is removed and carbon dioxide (CO2) is released. In order to increase the THC content of the cannabis plant matter, the process step of decarboxylation is applied. By decarboxylation, the quantity of non-psychoactive Δ9-tetrahydrocannabinolic acid (THCA) can be converted into psychoactive THC. Δ9-Tetrahydrocannabinolic acid decarboxylates when heated (to approx. 105°C / 220°F for 30 min. when dry material, up to 90min. for moist plant material) and converts then to the psychoactive compound Δ9-Tetrahydrocannabinol. In similar way, CBD-A rich cannabis plant material can be decarboxylated by heat treatment and thereby converted into CBD. For winterization of plant material, dried chopped plant matter is heated to approx. 160°C / 320°F for 30-60min. to initiate the decarboxylation. After ultrasonic extraction, the cannabis particles must be filtered from the liquid. Therefore, the cannabis slurry is strained through a filter, such as mesh (e.g. filter sock) or using a filter press. The resultant mother liquor of solvent (e.g. ethanol) and cannabis extract is then concentrated by separating the ethanol. Typical distillation methods for the removal of solvents are rotary evaporators or vacuum distillation systems. A rotary evaporator (colloquially roto-vap) is commonly used to separate solvents such as ethanol from cannabis, thereby producing a refined cannabis oil. Regulated temperature and easy handling make the rotary-evaporator the dominant distillation equipment in the cannabis industry. Vacuum distillation is used mostly in order to isolate CBD for pharmaceutical and medicinal use, where it is necessary to remove terpenes and or THC. Since terpenes, THC and CBD have high boiling points (between 160-250°C / 310-482°F), under atmospheric conditions a distillation would require high temperature treatment, which comes with thermal degradation of the heat-sensitive cannabinoids. Additionally, exposure to oxygen initiates oxidative reactions, which affects the quality of the cannabinoids negatively. By the application of vacuum, the boiling points are lowered. Furthermore, oxygen is removed with the application of vacuum. Thereby, distillation under vacuum conditions lowers thermal and oxidative degradation of the extracts. Winterization is the process of removing the plant lipids, fats and waxes by an alcohol wash in order to separate cannabinoids and terpenes from unwanted substances, such as plant waxes, fats, and chlorophyll. For the winterization the extracted cannabis oil is placed in ethanol and chilled to temperatures of less to -20°C / -6°F. At these low temperatures, lipids, fats and waxes precipitate and can be removed.